• Accommodation: either in 5star or 4star /Lodges/Tented Camps depending on your budget. Day 3: Serengeti National Park to Ngorongoro Conservation Area/Olduvai. After breakfast with your packed lunch drive and game enroute to Ngorongoro Conservation Area. It is your option whether you pass by Olduvai Gorge a historical site whereby the early man lived and can also pass by the Maasai boma if you are interested in the real African life tradition and culture. 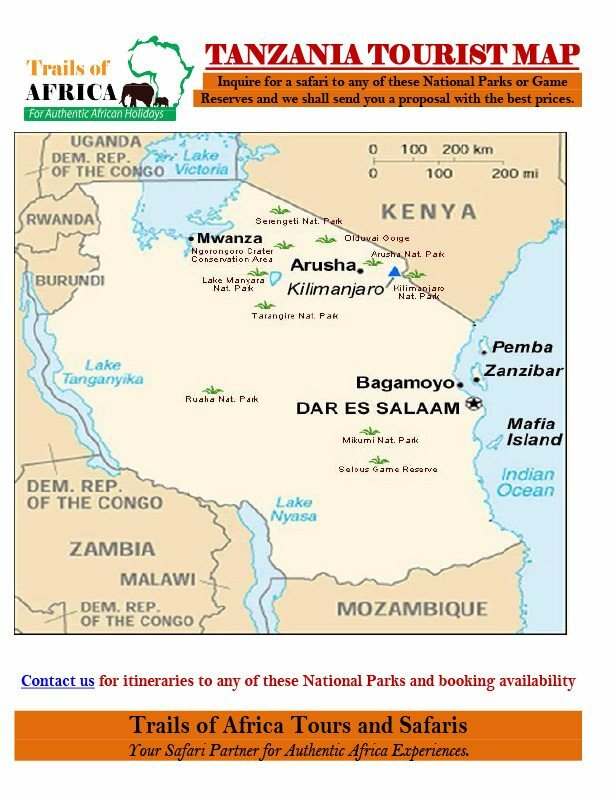 Day 4: Ngorongoro Conservation Area to Arusha then fly to Zanzibar. In the morning after breakfast at 0800hrs descend into the crater for half day crater tour. At 1215hrs ascend the crater and drive to the lodge for hot lunch. After lunch drive back to Arusha Airport to catch flight to Zanzibar. Meet and greet after to arrive at Zanzibar Airport then transfer to the hotel. Enjoy and Relax on the beach at the hotel.